Robert Voisey (b. 1969) is a composer and impresario of electroacoustic and chamber music. His aesthetic oscillates from the Ambient to the Romantic. Voisey embraces a variety of media for his compositions, and pioneers new venues to disseminate his music and reach audiences. His works have been performed in concert venues and radio broadcasts around the world. In 2008, Robert Voisey has had performances of his mobile work "Constellations" performed at Free Play 10: Listening Chamber at Grand Valley State University in Allendale, Michigan. Constellations as well as is works, hunger and Tainted Tree have received performances in The Composer's Voice Concert series in New York City. Tainted Tree was also performed at Fine and Dandy in the East Village. 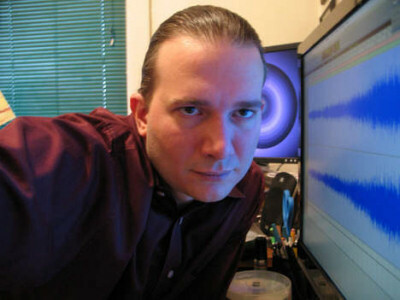 His work Tempest was performed at the 18th Biannual International Eletroacoustic Festival at Brooklyn College and is soon to be released on an album with the same title by Pogus Records. A collaborative work, "deeper shades of forte", with the poet Anne Cammon received its debut at Fine and Dandy. "India Songs" another collaborative work with Anne Cammon has been performed at the Bowery Club's "Futurus Lux" annual poetry festival as well as in the variety show Fine and Dandy. 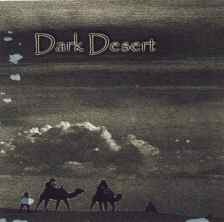 This work has also been released on a CD by LOGOchrysalis Productions and is available on CDbaby. "India Songs"
A video version of his work, "hunger", has been receiving regular performances on XMV at Collective: Unconscious in Tribeca, New York. Robert Voisey is also a member of CDZabu (formerly known as ~chromatik_d_zabu.tmp) is an international collective of musicians who collaborate via the Internet. Pieces are composed sequentially, through the continual addition of musical strata by different participants of all stripes (academic, self-taught, electronica, rock, classical) who operate under mysterious pseudonyms. The pieces are then mixed and published for free on the collective's web site. Come visit and join the fun, new members are welcome! During the past year, Voisey has collaborated on more than 15 compositions, which are available for download over the Internet at the CDZabu website. As a presenter and producer of new music, Robert Voisey is the Artistic Director of the 60x60 project, Co-Director of the Composers Voice Concert series, Vice President of Programs for the Living Music Foundation, and Founder of Vox Novus. Producing and presenting over 100 concerts in more than 10 countries around the world, he seeks innovative and creative approaches to promote the music of today's composers. Voisey is the Artistic Director of the 60x60 project, an annual event of worldwide concerts that highlights 60 composers who have composed works 60 seconds or less for an hour-long continuous concert. The "60x60" project started in 2003 and has created an annual yearly mix as well as alternate mixes such as the Pacific Rim Mix, Midwest Minute Mix, and others. Besides its annual world debut in New York City, in the project has received performances all over the United States and throughout the world including London, Los Angeles, San Francisco, Sydney, Munich, Bucharest, Istanbul, St Louis, Minneapolis, Kansas City, and many others. 60x60 has been included in several festivals including the A*DEvantgarde, DMRN(Digital Music Research Network Festival,) Electronic Midwest Music Festival, Fresno New Music Festival, Internation Electro-acoustic Festival at Brooklyn College and Spark,. This project represents a slice of the contemporary music scene as a showcase of music from composers around the world, writing today's music. Voisey is also the Co-Director of the Composer's Voice concert series at Vox Novus. This series features and exposes emerging composers as well as accomplished underexposed composers from other regions. It is designed to display their compositional "voice" in a themed exposition dedicated specifically to promote their music. Since the start of his role as Director of the "Composer's Voice" concert series, he has organized and produced more than 20 concerts in New York City. Through this series he continues to empower composers to broaden their audience by creating a venue to have their music heard. Voisey is the Vice-President of Programs at the Living Music Foundation. The Living Music Foundation's mission is the support of independent, professional and emerging composers and performers of post-modern art music in their struggle for the space and freedom of expression growing out of the need to relate to one's surroundings interactively. His role is to coordinate and raise funds for concert programs, including grant writing and project production. 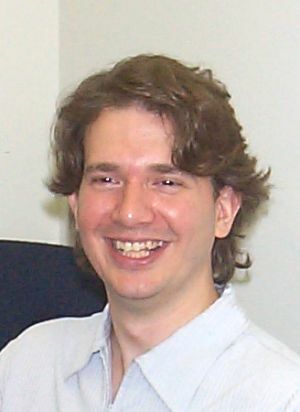 Robert Voisey founded Vox Novus in 2000. This organization was created for the purposes of expanding the presence of contemporary music in the public's vision, empowering composers and contemporary musicians to create, produce, and promote their music. Vox Novus does this by the production of concerts, exposure on the Internet, and facilitating networking between professionals. Robert Voisey was also interviewed by the Los Angeles Times for its Sunday Entertainment Section, profiled on Fly Global Music Cultures web magazine, and featured on the Noizepunk & Das Krooner show. His work routinely receives airplay on WKCR's Arts & Answers and Art Waves radio programs in New York City as well as Max Shea's Martian Gardens on WMUA Amherst, Massachusetts. He has been invited to speak about his own music, the 60x60 project, and the promotion of new music at the University of Missouri-Kansas City, University of Central Florida, University of California at Fresno. He has also presented and introduced the 60x60 project to audiences all over the world including Mills College (Oakland, California), the University of Central Florida (Orlando, Florida), Electronic Music Midwest festival (Kansas City, Kansas and Romeoville, Illinois), Adelphi University (Long Island, New York), A*DEvantgarde festival (Munich, Germany), Goldsmiths College (London, England), the Amadeus center (London, England), Oberlin Conservatory of Music (Oberlin, Ohio), State University of New York at Albany (Albany, New York), Lille Conservatory (Lille, France), University of Hartford, (West Hartford, Connecticut), William Paterson University (Wayne, New Jersey), CalArts (Valencia, California), Harbor College (Los Angeles, California), International Electroacoustic Festival (Brooklyn, New York), and Collective: Unconscious (New York). Robert Voisey received his undergraduate degree from S.U.N.Y. Stony Brook where he studied Computer Science Engineering, Mathematics, Studio Art and Music Performance. He earned a certificate of Composition at Tel Hai College in the Upper Galilee of Israel, where he studied with Oded Zehavi and Aiten Schteinberg. He also studied at C.U.N.Y. Brooklyn College where he studied with Noah Creshevsky and George Brunner.